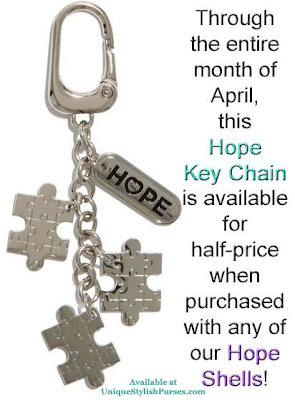 Every time you drive, show your support for autism awareness and research by clipping on this darling autism keychain. Or you can attach it to a carabiner on your Miche Bag instead! Either way, you’re making a difference in the lives of those affected by this puzzling brain disorder because a portion of the proceeds from the sale of this item goes to support autism research. 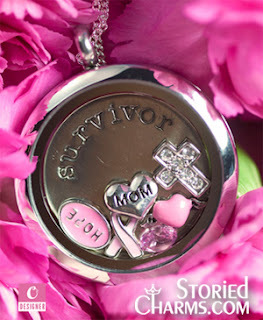 Silver clip and chain features Hope logo and three dangling puzzle pieces.